Questions here will get posted to the Q&A forum. Trouble with your account? Need help updating email address? Questions about NASA Memberships / Licenses. Where and how do I get started with NASA? What class would my car run? My Forum is gone! What happened? 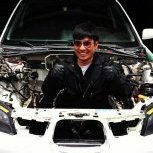 How to build an unpopular car? Has anyone seen this lately? Where Can I Find Out What Class I Would Run? Is my area part of a region? Fuse size for AMB transponder? HAWK 2017 - How to get valid working contingency codes? Best class for tall driver?